Film Maxi Poster: Join Bilbo Baggins as he embarks on the adventure of his lifetime with this brilliant map of Middle Earth which will guide you on your way through the Lonely Mountains and beyond. 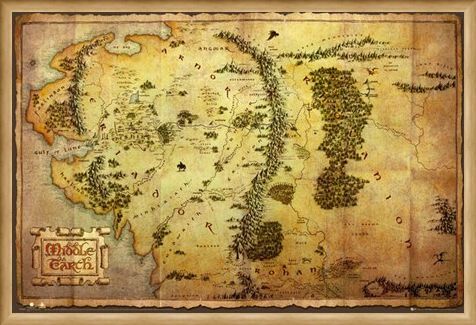 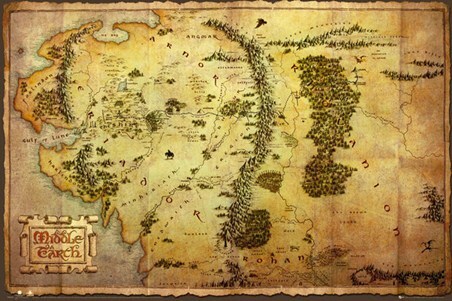 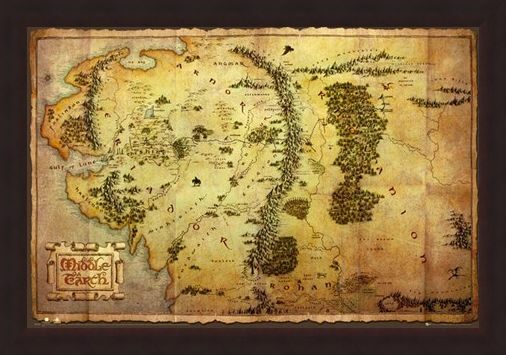 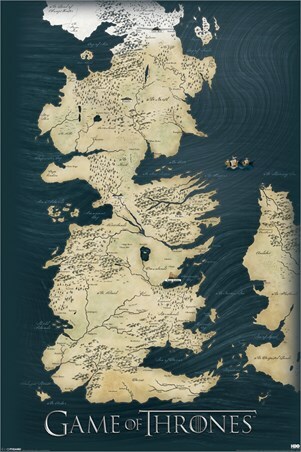 This old style map highlights the winding roads of The Shire to the epic Kingdom of Rhovanion and the dark forests and tall mountains in between. This accompaniment to the 2012 Peter Jackson film 'The Hobbit' is guaranteed to fuel your excitement for the first instalment 'The Unexpected Journey'. High quality, framed Map of Middle Earth, The Hobbit poster with a bespoke frame by our custom framing service.